The days of the bacon and egg breakfast are long gone. People nowadays want a healthy and nutritious breakfast that will start them off on the right foot. 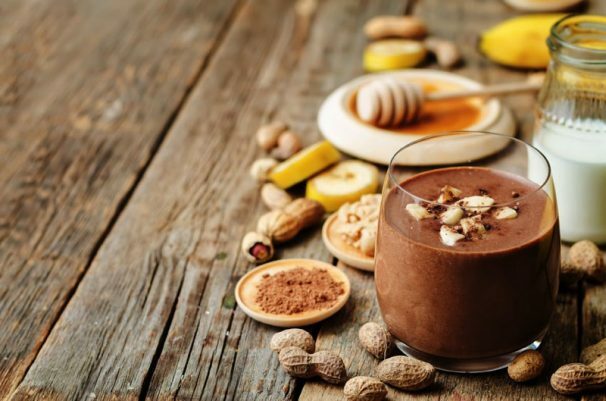 You have no doubt tried a few smoothies in your time, but here are some that might be new to your morning menu. All are wonderfully tasty and contain just the right ingredients to benefit both body and mind. Each recipe is also fast and simple because you just prepare them in the usual way: add the ingredients, blend until smooth, and serve! Here’s an excellent choice for those on a diet and includes the healthy breakfast mainstay, oatmeal. You can further increase the creaminess and food value by also including half a frozen banana or an avocado. Peanut butter and banana sandwiches are delicious, but really are not very good for you. Fortunately, you can substitute this smoothie, which offers all the taste but with fewer calories. Still craving peanut butter? Well, here is a combo more associated with noon hour than breakfast, but still delicious no matter what it says on the clock. Indulge in one of your best childhood lunch memories in a form that is better for you. Chocolate for breakfast, you say? We’re in! As a child, we’re sure you would have loved an excuse to have chocolate before school. Well, now you can have it before work! Once again, it’s better for you than scarfing down a Mars bar on the drive to the office. Continuing our “Dessert for Breakfast” theme, here is a delicious little number that is so fun to drink, one can hardly believe it is also good for you! It’s slightly more elaborate than our other suggestions, but absolutely worth the effort.